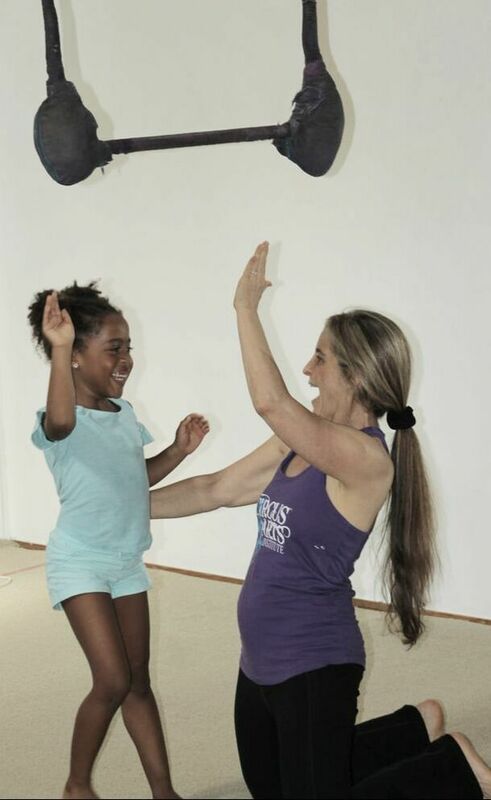 Circus Arts Fitness® is a recreational program for adults and kids of all ages! We tailor our lessons to focus on the aspects of Circus Arts that our students enjoy most. Each teacher is professionally trained in aerial safety and works one-on-one with students to help them meet their individual goals whether that be fitness, fun, or performance. Circus Arts Trainings incorporate over 40 years of experience in Aerial Arts Safety to teachers from all over the world! Carrie is training other Circus Arts practitioners to combine the Circus Arts with therapeutic techniques in her Circus Arts Therapy® Trainings. We are proud to be the first Teacher Training Program in America to be recognized for our excellent standards.